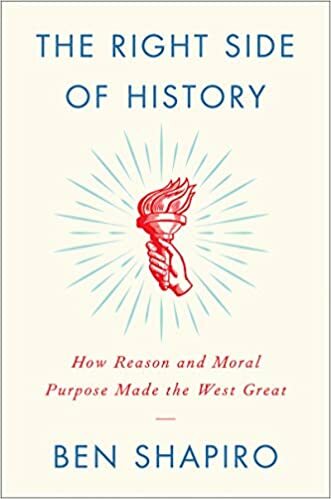 Scott talks with Jim Rogers about Red Capitalism, the market for commodities, and trade wars leading to military wars. The world has a money problem. People are losing confidence in governments and their currencies, Rogers says. At these times throughout history, people have moved their focus to gold and silver. The legendary investor says the Internet will change money as we know it. Will Bitcoin be the change? Possibly, however, Bitcoin looks like a bubble right now, he says. “Bubbles can go on a long time, and they often do,” Rogers notes. “Just because it looks like a bubble doesn’t mean its the end of the story.” The world has a money problem. People are losing confidence in governments and their currencies, Rogers says. At these times throughout history, people have moved their focus to gold and silver. The Fed is expected to raise rates soon, and possibly a few times in 2018. Rogers says raising rates could be a catalyst for a stock market crash. Gold and silver will crash along with the stock market initially. Rogers Holdings Chairman Jim Rogers on bitcoin and where to put your money in today's markets. He states that he believes Bitcoin is currently in a bubble. As creator of the Rogers International Commodities Index (RICI), Rogers has seen the ins and outs of global markets, central banks and government institutions. Like so many other renowned investors, he isn't completely sold on bitcoin and cryptocurrencies as long-term holds. Rogers thinks cashless societies are the future – whether bitcoin is the solution or not. Stansberry and Rogers didn't hold back in predicting a global economic collapse in the near future given insurmountable consumer debt levels. The conversation wasn't all business and finance. Rogers touched on his previous relationships – including those with his ex-wives and business partners. Veteran investor Jim Rogers believes that banks must invest in the financial technology (fintech) space or they face being replaced. Chairman of Rogers Holdings and Beeland Interests, Inc. and co-founder of the Quantum Fund, the American businessman said that traditional banks need to improve their situation in the face of the growing fintech space. My children will never walk into a bank when they become adults as by then all the banks along the streets will be replaced by computers and certainly mobile phones. Rogers appears to be a supporter of the fintech sector. According to the report, he has invested in Hong Kong-based ITF Corporation, the world’s first financial technology bank founded by Hui Jie Lim. It’s hoped that operations will start next year. Rogers has also invested in Tiger Broker, a Chinese online brokerage. Even though his investments in these projects have yet to present any profits, he is confident of where the industry is heading. He also believes that digital currencies could change how we see money in the next 10 to 20 years. Even though he hasn’t invested in the crypto market Rogers is of the opinion that governments could issue their own cryptocurrencies in the future. His comments come at a time after predicting that a market crash will occur in the next few years. Speaking with the Business Insider in June, Rogers said that ‘some stocks in America are turning into a bubble’ and that with the bubble will come a collapse. When questioned what will trigger it Rogers said that it could be an American pension that goes broke or a country that’s not being looked at. He cites Iceland and Ireland’s financial crisis as examples. It’s going to be the worst in your lifetime. Bad advice will pollute your brain. So if you’re trying to build a successful business or invest to win wouldn’t you want to hear from people who have done it and succeeded? Legendary investor Jim Rogers joins Robert to discuss the best investment opportunities available today. Porter and Buck welcome investing legend and best-selling author Jim Rogers for an exclusive extended interview. Jim calls in from Singapore to tell you about the first time he met Porter 20 years ago, his latest thoughts on gold, and what he sees as the “first shoe to drop” in a debt jubilee scenario. Porter asks Jim about bitcoin, cryptocurrencies, and the advanced adoption of digital payments in Asia. Jim reveals that he regrets not buying any bitcoin, and you’ll be surprised at what he thinks governments could do with cryptos. Porter asks Jim if he had to invest all his money in one type of asset, what would it be? Could the Financial System Collapse by Year End? Jim Rogers breaks down how unstable the markets have truly become. Could markets collapse by year end? Obviously this is unlikely, but what is true, is that any day a spark could be triggered, that leads to its downfall. Jim Rogers: The End of Gold and the Rise of Bitcoin is it True? Jim Rogers discusses the value of owning both Bitcoin and Gold in these unstable times. What is better, or are they equal in all qualities? Jim Rogers breaks these down and discusses in much greater detail. Jim Rogers discussed the current state of gold and the markets that surround it. He states that everyone should have gold included in their portfolio, at least in some degree. Unfortunately, he doesn't like what he is seeing at this current time and is not adding to his position, yet. With sky high equity valuations, economic uncertainty, plus concerns over interest rates, central bank reactions and debt, the risks are rising. With a stellar cast, featuring some of the greatest investors on the planet, The Big Story - Edge of The Cliff, examines the potential for a major market correction and what that means for investors, in a world of complacency and compressed volatility. Filmed in September 2017. Jim has been a long-time gold holder. And he believes everyone should hold gold – at least as an insurance policy. 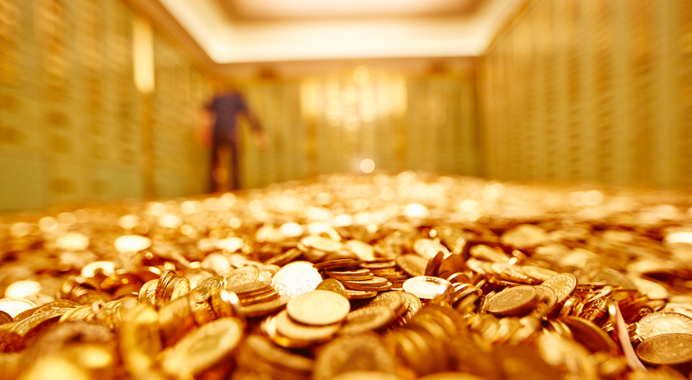 History has proven time and again that gold is one of the best ways to hedge your portfolio – that is, to protect it when stock markets everywhere fall. And, unlike paper money, gold is a permanent store of value. Gold has withstood history and maintained its inherent value. It’s durable, easy to transport, looks the same everywhere, and it’s easy to weigh and grade. In short, gold is insurance against financial calamity. But what about investing in gold today? Jim says he’s not selling, but he’s not buying right now either. When the time comes, Jim believes gold coins are the best way to buy gold. But if you want to make big profits, look at gold futures and miners. Like Jim, we’re fans of owning physical gold. But if you can stomach the volatility, my preferred way to invest in gold stocks is through a gold-mining ETF like the Sprott Gold Miners Fund. As I told you earlier, it pays to listen to Jim. So I hope his latest ideas will serve you well. Markets are more predictable than most people think. Stocks, sectors and markets rise and fall over time on repeat (as we’ve written before). For investors, it’s tempting to think that because a sector has been rising for some time… it will keep going up. Or that because another has been bearish for a while… that it won’t ever improve. This is called “status quo bias” – and it’s one of the most dangerous emotions in investing. One sector that has been bearish for a long time is agriculture. It is down around 30 percent over the last two decades. But what goes up must come down (and vice-versa). Jim understands this, and that’s why he’s bullish on agriculture. We’ve said something similar before: Often the best time to invest is when things are at their worst. That’s because shares are cheap when market confidence is low. And, since markets move in cycles, those cheap shares are bound to rise in value sooner or later. If you want to follow Jim’s lead and buy into agriculture, he recommends the ELEMENTS Rogers International Commodity Agriculture ETN. Millennials (or, for that matter, young people – regardless of the generation) often get a bad press. But, in a bull market, Jim Rogers believes that under-35s can make serious gains because of their fearlessness. Now, that’s great in a bull market. 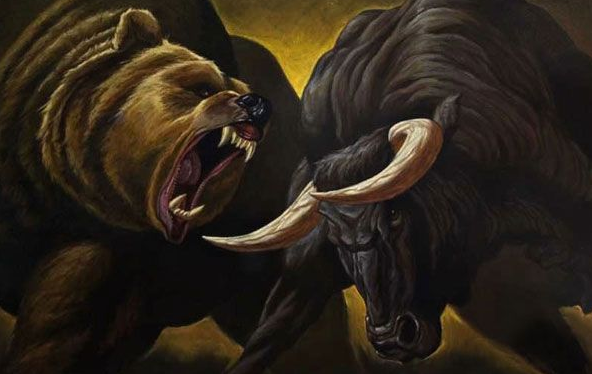 But in stormier weather when things are going south, Jim thinks that older (and perhaps wiser) heads should take the helm because fearlessness can be very dangerous in a bear market. As Jim says, most of these under-35s don’t know why they made money in the first place. So they don’t know why they lose money. In short, during uncertain times, sometimes the best thing to do is nothing. And part of doing nothing is holding what’s maybe one of the most-hated assets of all: Cash. It doesn’t earn anything, inflation eats away at it, central banks can’t stop printing it, and you’re denying yourself the magic of compounding if you’re holding cash. But cash is the perfect hedge. You don’t have to worry about the market crashing if you have a lot of cash. Now, we don’t recommend ever pulling out of the market completely, as we’ve written before. 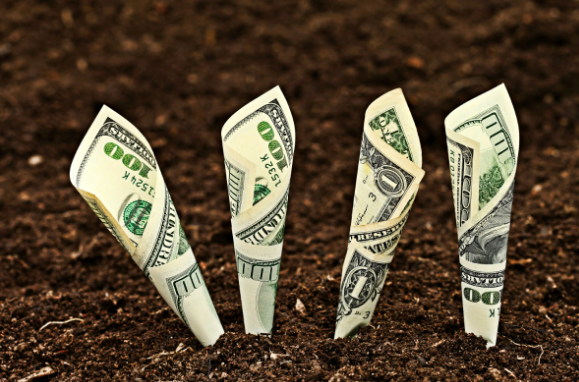 But if the market starts looking uncertain, think about raising a little cash. Many investors believe that, with volatility at record lows and valuations at record highs, a major shock is imminent. However, these same investors have been burned by uncooperative markets, as an expected selloff has yet to materialize. He added that, over his investing career, Roger's has learned that he has a tendency for his calls to be early. So now when he makes an investment decision, he waits six months before buying. JR: You teach me that, OK? I'd like to know. I'm still trying to learn. SD: I really don't know, either. I mean, one of the things that has confounded, I think, all of us in this most recent unprecedented rally - I mean, it's not unprecedented in history, but the sort of things that have gone up and the level of volatility we've had that's been unprecedented. The only period that I can compare it to are the late 90s, where just everything in a certain area went up. Now it was almost-- at least in the States, it's almost everything across the board. And there have been plenty of people who've wanted to short the FANGs, to short some of the tech stocks, to short some of these very expensive blue chips. And they've been very badly punched. And then even in the face of very good mutual fund investors, people with tremendous track records like Grantham Mayo, who have moved to a higher cash position - they've seen massive reductions, because their own investors don't seem inclined to stick around and see how it plays out. So both on a personal and professional level, being early seems to be incredibly painful and destructive to your business. SD: So if you've got a conviction, do you wait for a change in momentum? Do you use moving averages, which is something that I know people have been used, and I've used something myself, which is to wait until the 5 and 20-day diverge, and that gives you a signal that momentum's coming out of a trade? Or do you just need to size it to a degree which you can be persistent? JR: Well, I usually - since I know I'm always early, I make a decision and then wait, and just make myself wait a month, six months, whatever it happens to be. And I'm still too early. I'm still too early nearly always, because I make the decision too soon, I realize. So maybe I better start making the decision later in life. Sometimes, you just have to throw in the towel. Especially on the short side, you have no choice. If they're just racing against you all the time, you can sit there and meet the margin calls all day long, but one of the old adages is, never beat a margin call, which you may have heard from old-time traders. If you've got a margin call, just don't meet it, because that means something is very seriously wrong. SD: Right, that's your stop loss. JR: Yeah, well, stop losses are usually before a margin call comes. But I want to go back to something you said. You're not as experienced as I am, obviously, because you're not as old as I am, is what I'm saying. But I remember in the early 70s, there was something called the Nifty 50, and they were 50 stocks that everybody - the JP Morgan bought everyday. Didn't matter. Avon, Xerox, IBM - they were stocks that always were eternal growth stocks. And they just kept - we would short them, and they just kept going up. They never stopped. Polaroid-- that was another. And they just never stopped going up. Everything else stopped going up but those Nifty 50, which would be something like the FANGs today, or maybe in the late 90s, some of the other kinds of stocks. So this has happened before in market history. They eventually crack, there's no question. SD: And so there's a lack of breadth in the market. JR: Definitely that lack of breadth. What is that - over 90% of the stocks are in downtrends. 10% are in uptrends, but they're big companies. And since the S&P is capitalization weighted, those 50 stocks, 40 stocks, whatever it is, dragged the average to all-time highs. The biggest danger that our modern day, financial world faces at this time is the massive amount of derivatives that now exist. 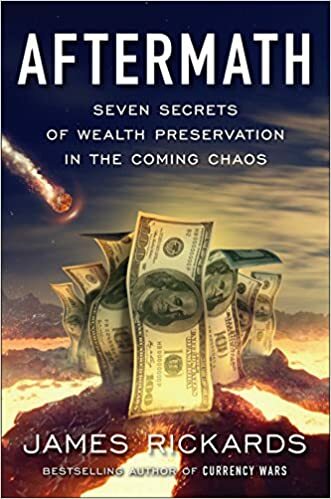 This has the ability to completely unravel our system as we know it, and Jim Rogers breaks down how to best prepare for it, if you can even do so. In this clip from our show 'Believe', we help you with “Money & Business.“ "Bitcoin & Cryptocurrencies Addressed by Jim Rogers, Billionaire Investor"
• Is Bitcoin a good method to “take control away” from governments? Or could governments “pull the plug” on cryptocurrencies? Jim Rogers issues a market warning to investors. He sees massive volatility coming and says that it is best to prepare now, before it is too late and you potentially lose everything. Henry Blodget examines market valuations and the dismal expected returns that go along with them. 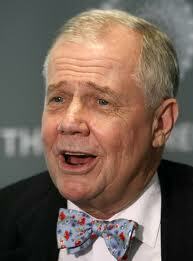 Jim Rogers says the market will crash in the next few years and calls the Fed clueless. Henry Blodget dives deep into two charts from John Hussman. Based on many different market valuation measures, stocks are extremely expensive. Blodget does point out that stocks can always get more expensive in the short term. However, the expected long-term return on a portfolio of stocks, bonds, and cash is very low based on these valuation levels. An interview with legendary investor Jim Rogers. Rogers predicts a market crash in the next few years. One that he says will rival anything he has seen in his lifetime. He also goes after the Fed. Rogers says the Fed is clueless and is setting the US up for disaster. Rogers likes investing in depressed markets. Rogers says its just like your parents taught you... "Buy low and sell high. Don't buy high and hope it goes higher." He is investing in China, Russia, Japan and agriculture. All these markets are depressed. Unlike the US which is at an all-time high. Though Rogers says the most important thing is to invest in what you know. Jim Rogers sits down with Birch Gold Group, where he discusses the recent actions seen in the precious metals space. He explains how he hopes gold and silver continue to go lower, so that he can then purchase more, at a steeper discount. Ultimately, Jim Rogers see's both gold and silver moving higher in the long term. The rise of bitcoin has been one of the biggest stories in financial markets this year. Up 150% year-to-date, the sudden surge in prices for bitcoin has surprised even its most ardent proponents, while catapulting digital currencies into mainstream consciousness for the first time. Bitcoin's rapid ascent has brought with it a spectrum of opinions about whether this asset is the real deal. Is bitcoin here to stay, or is it a bubble ready to burst? To answer that question, ETF.com asked three investing legends for their take on this controversial topic. Jim Rogers is a famous author, investor and businessman. He's well-known for co-founding the Quantum Fund and creating the Rogers International Commodity Index. Kevin O'Leary is an entrepreneur who sold his software company for more than $4 billion. Today he's known as Mr. Wonderful on the hit TV show "Shark Tank" and as chairman of O'Shares Investments. Dennis Gartman is the man behind The Gartman Letter, a daily newsletter discussing global capital markets that's been popular with traders and investors for more than 20 years. I'm not an expert on the subject, but I know there are several cybercurrencies developing. I do know the world has a big money problem facing us. I do know that in the past few decades, nearly everything we know has been changed and problems are being solved by the internet―and money will be, too. Our new system of money, whatever it is, is going to be something on the internet. Whether it’s bitcoin or not, I don't know. I’m not smart enough or knowledgeable enough to know. I do know that, for instance, IBM did not invent the computer. But the people who did invent it, you haven’t heard of. 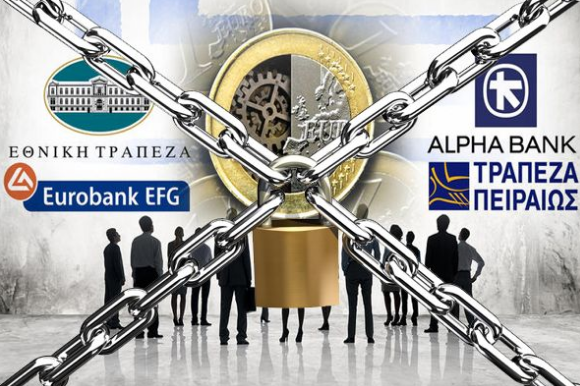 So who knows who will wind up being on top with cybercurrencies? My concern about cryptocurrencies is the fact that they can be used in an unregulated format. The speculation is that a lot of the ransomware episodes were driven by the availability of these currencies. That's always going to keep them out of the mainstream and hold them back. For example, the attempt to create an ETF around bitcoin failed because the regulators didn't see it as something they thought had the merit to be invested institutionally. It's also extremely hard to short bitcoin. Therefore, how do I know there's been a full price discovery on its value if nobody can take the other side of the trade? I would prefer, at the very least, that there be an instrument by which I could short bitcoin, because I think you'd find a lot of people would like to be on the other side of the trade. Once all that price discovery came into it, along with more liquidity, it would be safer. I look at it as another currency—and I do own multiple currencies in my portfolio—but I've always refused to take on the volatility of a bitcoin because I don't know if it's really got true price discovery. I love to talk about bitcoin. The only people who believe in it are the millennials. I understand that; they've grown up with this notion of bitcoin. But I find bitcoin to be one of the most ludicrous ideas I’ve ever come across. Don't get me wrong; the idea behind it―the blockchain technology behind it―is bloody brilliant. The block chain methodology will change the manner in which we trade stocks, bonds, currencies and gold for years into the future. It will change the manner in which trading takes place. But does bitcoin have any rationality behind it whatsoever? The answer, in my opinion, is no. It’s comically overpriced, comically close to a bubble, and we've seen bitcoin's high. I don't think there's any question that a month and a half ago we saw the high made in bitcoin. What's amusing to me is that the believers in bitcoin say there's a fixed and finite supply that cannot be increased. Sure, maybe bitcoin supply can't be increased, but there are now over 100 other cryptocurrencies, which effectively increases the supply of cryptocurrencies. And quite honestly, if you really think that bitcoin, once its last bit has been mined, is not going to reopen for further increases in supply, you're naïve; of course it will. So has bitcoin supplanted gold at the margin? No question. For the millennials, bitcoin makes sense to them. Gold seems senseless; they don't get it. But the bubble has burst in the bitcoin phenomenon. The Kremlin as a whole has changed, notes Rogers. Specifically, the nation's treatment of its citizens. "Something happened in the Kremlin, which means something happened to Mr. Putin," explained Rogers. "They used to just shoot you or take your money, or put you in jail – but they don't do that anymore – for most people." Moreover, "they've changed their attitude and realized they have to play by the international rules that everybody else does," said Rogers. "They're trying to attract capital, investment, and brains!" A key strategy of Rogers' is to invest where everyone else isn't. "When everyone is on one side of the boat, you want to go to the other," Rogers told Keith many years ago. And that's precisely why he's bullish on Russia today. "Russia is maybe not the most hated market in the world, but it is certainly one of [the most hated]," said Rogers. "Nobody likes Russia except for Russia." Keith agreed that Russia could be a great investment opportunity right now. In fact, Keith has been recommending investors pivot towards Russia since 2015. "99% of all investors are missing out and would never invest in Russia right now," said Keith. "Instead, they'll sit back and wait for things to 'get back to normal' before making their move." "As usual, they'll miss the truly extraordinary profits." The question investors should be asking themselves right now is not whether or not to invest in Russia, according to Keith, but rather, how you will feel in the future knowing that you've been left behind. As part of that, Keith prioritizes what he calls "Unstoppable Trends" in the market to keep investors ahead of the curve. These trends will continue to make you money no matter how aggressively Putin is treating his citizens or whether or not he is playing by international rules. "These trends are backed by trillions of dollars that Washington cannot derail, the Fed cannot meddle with, and Wall Street cannot hijack," says Keith. At FreedomFest, commodity guru Jim Rogers warned that the U.S. economy’s historic pattern of enduring a downturn every four to eight years indicates people should prepare for such a prospect to occur in the next 2-3 years. Worse, because today’s debt load is larger than in 2008, we could be in an even more severe problem the next time the economy falters. “If you’re not worried, you are not knowledgeable,” Rogers said. Arnott agreed with Rogers that the stock market is no bargain. In fact, we are within a year of enjoying a record — the longest bull market in history! As the market crawls higher, some might be tempted to make fun of the Bears for continuing to bet against the stock market. For men like Jim Rogers though, it only adds more seriousness to their warning of a coming downturn. Meanwhile, higher markets mean higher profits for those who are invested, and subscribers of my Forecasts & Strategies newsletter have taken full advantage of the opportunity by being fully invested all year. In an exclusive interview with Birch Gold Group, Jim Rogers makes some alarming statements about the state of the U.S. economy, predicting that the next crisis will be fully apparent within the next two years. He takes specific aim at Janet Yellen and the Federal Reserve, saying of record-low interest rates, "It's all absurd what's been happening!" Welcome to legendary investor, Jim Rogers. 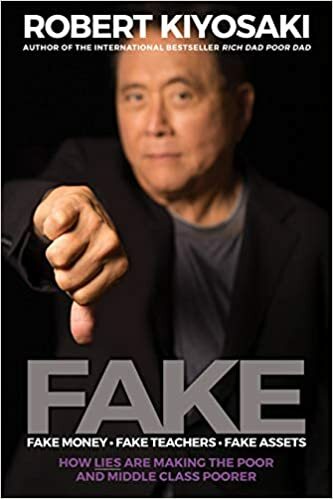 For those who don’t know him, Rogers has an un-refuted passion for investing and renown for his ability to make money. Lots of it! Having worked alongside names like George Soros and made returns like…an eye-watering 4200% over ten years (compared to the S&Ps 47%! ), he’s done pretty well! In fact, he’s even founded his own Index – The Rogers International Community Index. But it doesn’t end there! Zack Bogue, Data Collective co-managing partner, discusses opportunities in artificial intelligence with Bloomberg's Emily Chang on "Bloomberg Technology." Is it time for the market to crash? Legendary investor Jim Rogers joins Kitco News for an interview to discuss his predictions for the biggest financial crisis we’ll see in our lifetimes, and how he’ll be protecting himself. “Gold is going to be explosive in the next few years,” Rogers said, as he gave his insight on gold, the U.S. dollar, and the crypto-craze. You can catch Jim Rogers at Freedom Fest this August in Las Vegas. An imminent economic crisis the likes of which this generation has never experienced is coming. However, the conditions under which the next bubble will burst will surprise even the most astute observers of economy, culture, and politics. The higher education bubble (one-sixth of the U.S. economy) will likely burst with the force of all previous catastrophes combined—a shock wave so sudden, so large, that it gathers the full force of the savings and loan, insurance, energy, tech, and mortgage crashes, creating a blockbuster-level perfect storm. Disturbing patterns of unsustainable economic activity have emerged over the last decade. College and university budgets rely on inflated real estate investment, deny the short- and long-term effects of student loan defaults, accept the rise in tuition above the rate of inflation as normal, and expect a downsized part-time faculty to help subsidize inflated tenure track and endowed tenure budgetary lines. The insatiable upper administrative appetite for high salaries, job description absurdity, and low accountability adds endless layers of compulsive, prideful incompetence to an already unstable education business model that believes it simply cannot crash. While higher education is not a business in the same way for-profit corporations are, a business plan rooted in reality remains essential to its success. Reality, however, seems an ongoing elusive concept to college administrators. Dormitories and sports facilities are funded regardless of flat enrollment rates. The mission of imparting knowledge to students (the service for which parents and students pay dearly) is shunted off to ill-paid adjunct faculty with no skin in the game. Students poorly equipped for real-world opportunities are unable to repay student loans, let alone become alumni willing and able to support their alma mater. How long until higher education’s customer base realizes the expense is no longer worth it? Without dramatic and immediate changes in the higher education sector, broader economies that support third-tier learning will fail along with it: People in the community employed by the college will lose their jobs; commercial activity geared toward the student population will fail; and investment in real estate for student housing will no longer have its expected return. We call for a return to the teaching and innovation mission of the American university. We need a well-educated, resilient, adaptable, and entrepreneurial graduate to meet the needs of a new “gig” economy, which includes coding, plumbing, elder care, sociology, food service, and hotel management. We demand higher educators meet the market and personal demands of the new student body. And while the teaching model will necessarily be heavily invested in digital knowledge, we must look to a very old style of teaching. The system of tenured professors more interested in research than in imparting knowledge, buttressed by overworked and precariously employed adjunct faculty, does nothing to stabilize a higher education community. An apprentice/mentor system grounded in a proficiency model charged with technical, academic, and professional skill development and critical thinking objectives will revolutionize higher education. We want our colleagues to focus on imparting the empathy that comes from interaction with other people, cultures, works of literature, and art, as well as the concrete and necessary skills for success in the post-college world of production, innovation, and hands-on work. We can deliver this high level of education while modeling what it means to have a true plan for paying for what is necessary. What better lesson could the American college graduate take with them into the working world? Prolific investor. Contrarian extraordinaire. Investment banker. Best-selling author. Jim Rogers wears many hats, and is not tied down by labels or conventional wisdom, but has refused to bite the bullet when it comes to investing in start-ups, which he considers notoriously high-risk. Yet, even Rogers appears to be joining the bandwagon going by his track record over the last 12 months, during which he has invested in four start-ups. He defends his decision and says his start-up investments are not about the capital. The entrepreneurs approached him directly, which got him interested, and Rogers is not changing his spots. “These founders were smart people and they reached out to me and asked, would you invest with us, and I said yes,” he said in a recent interview. Three of his investments in this space are Korean firms, including Standard Graphene, the country’s first manufacturer of graphene, a thin layer of pure carbon. “Graphene, according to scientists, is going to be as important to the world as scientists. I did not say that, but scientists say it—it is thinner than paper and stronger than steel and they can even use (it) to purify salt water. I have been bullish on graphene for a long time, and all of a sudden an entrepreneur in this space shows up—he has been in this business for a while, and therefore I put in some small amount of money,” Rogers explained. Rogers has also invested in two fintech start-ups—Korea’s Wealth & Liberty, which provides financial advisory services using a robot adviser, and Chinese online brokerage firm Tiger Brokers. The latter was also his first investment in a Chinese start-up. Rogers said he is “investing in the founders” and not the companies. “I know nothing about fintech. But I found these were smart people and they contacted me directly,” he said. Tiger Brokers, which allows Chinese investors to buy stocks from the US and Hong Kong, recently disclosed a funding round worth $14.5 million, the third for the company since it was founded three years ago. Rogers declined to state the amount he had put into the company, whose other investors include heavyweights such as Xiaomi Technology, China Growth Capital, and Citic Securities. Rogers’ first start-up investment was in 2016, when he invested an undisclosed amount of capital in Illimus, a Korean cosmetics company. His investment was based on the fact that he found its founders were “smart and driven”, rather than the company’s prospects. “If I lose all my start-up investments, it is not the end of the world. The way I look at it—if these investments come to nothing, I won’t even notice. I don’t pay any attention to my start-up investments,” he added. But as an investor, by keeping away from start-ups, did he pass up on the opportunity to make huge returns over the last few decades? “Ask me again in 10 years, and even 10 years later, I don’t think I will have many more start-up investments than I have now. Maybe some really smart guy or woman comes and meets me, I may do something, but I am not changing my spots and my start-up investments are all coincidental,” the veteran US investor, who now lives in Singapore, added. When Jim Rogers talks, investors listen. One of the world's most famous investors, Rogers is known for his no-nonsense style and investment wisdom. He is the author of several best-selling books, including his latest, "Street Smarts: Adventures on the Road and in the Markets." ETF.com recently spoke with Rogers for his take on the latest financial market developments. ETF.com: I saw some headlines recently that you foresee an economic downturn on the horizon. Can you get into that? Jim Rogers: The next time we have an economic problem in the U.S.—and therefore the world—it’s going to be the worst of our lifetime given what’s been going on. The world has been printing a lot of money and the whole world has a lot of debt. In 2008, we had a problem caused by too much debt, but now the debt is much larger than it was in 2008, so the next time we have a problem, it’s going to be even bigger than 2008. ETF.com: When do you forecast the downturn to take place? Rogers: I would suspect it’s in the next year or two. Historically, we’ve had economic problems every four to eight years. As you know, it’s been over eight years since our last problem. It doesn’t mean we have to have problems, but it means we’re getting closer and closer. ETF.com: What’s your take on the fixed-income markets? Rogers: Given what's happening in the world and with central banks, I don't see any reason government bonds in the U.S. should go down. But I am short junk bonds—not that it’s doing me much good yet. ETF.com: What are your latest views on oil and gold? Rogers: My view on oil is that it’s in the process of making a complicated bottom. We’ll look back in a while and see that in 2015, 2016, 2017—and maybe 2018—that oil made its bottom. Worldwide reserves continue to decline except for U.S. fracking, and fracking isn’t doing great at these prices. That doesn’t mean oil can’t go under $40 again. As I said, the bottoming process takes time. Rogers: I haven’t bought any serious gold in a long time. I own gold and I haven’t sold any. I expect gold to go lower—at which point I hope I’m smart enough to buy a whole lot. If it doesn’t go lower, I’ve got plenty of gold already, I assure you. Before this is all over in the next few years, gold is going to go much, much higher. Whenever people lose confidence in governments and paper money, they always put their money in gold and silver, and they will again. ETF.com: How should investors position themselves for the coming economic downturn? Rogers: I own Russia and I’m looking to buy more. The Russian market is still a very hated market. I also own China; the Chinese market is down 50% from its all-time high. I own Japan, which is also down 50% from its all-time high. Who knows how long I’ll own these things, but they’re likely to be less badly affected by the economic downturn. There are also plenty of ETFs now where you can sell short, which is another option. I also own a lot of U.S. dollars at the moment, not because U.S. dollars are a sound or compelling investment, but it’s because when there’s turmoil, people look for a safe haven. At the moment, people think the U.S. dollar is a safe haven. It’s not. 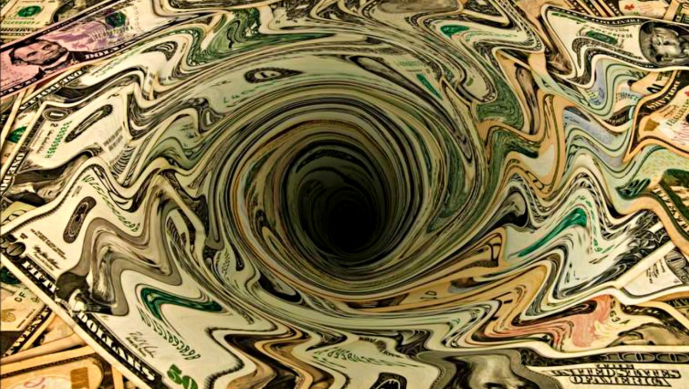 America is the largest debtor nation in the history of the world. But people think the U.S. dollar is a safe place to be, so I own a lot of dollars—with the expectation it’ll get overpriced, maybe even turn into a bubble down the road. Hopefully when that happens, I’ll be smart enough to get out of my dollars and put the money somewhere else. Preston Pysh: First thing I want to talk about is gold. You have a position in gold, but you are hesitant to increase that position right now. Currently, we are in the second quarter of 2017. What are some things that would change this decision for you? Jim Rogers: Price is the main determinant, or time — if it was 2019, I might rush in and buy gold. For me, gold has not had enough corrections yet. There are still too many gold bugs. Pysh: So you are looking at it more from a psychological perspective. Would you say that the right time to buy gold is actually when there are a lot of people avoiding gold? Rogers: When people say, I never want to invest in gold again, that is when I want to invest in it. This is true of many things. When everybody is throwing it out the window, that is usually a good time to buy anything including gold. So far, there are too many people that love gold. Pysh: I was expecting you to give a quantitative answer, but I am surprised that you gave such a qualitative answer. Rogers: Investing is both qualitative and quantitative. I wish it was simple, but investing is a combination of everything, for gold and everything else. Gold has been around for thousands of years, so it has gone through many periods of bull and bear markets. Many people think of gold as a currency, but it is just another investment. Pysh: What do you think is the best approach to gold? I am thinking the best way would be to put a two and a half year call option on some gold mining companies. What do you think? Rogers: A two and a half year call would be fantastic if you can get the timing right at the bottom. You have enormous leverage with calls. You could do this with futures as well. If you get the timing and the product right with either calls or futures, you can make a lot of money. Stig Brodersen: You have been the forefront of various markets. For example, you wanted to buy the Danish Krone when it seemed like nobody even knew about it. How do you come up with such original ideas, and how do you validate your ideas before you actually invest in them? Rogers: I have learned that the more people ridicule and question you, you are probably onto a good thing no matter what it is. If you are observant and notice a change and that change is something cheap and ignored in the way that the Danish Krone was in the past, you are probably going to make a good investment. Pysh: Which area of the U.S. market — currencies, commodities, bonds, stocks, etc. — could a person apply that thought process to a pick? Rogers: Whatever people are doubting may be an investment opportunity. Agriculture in the United States is pretty depressed right now. This may be an area where there is an investment opportunity. However, you should be cautious about investing in an area just because it is depressed right now because that area could stay depressed for a very long period of time. This is why you have to find a change that is taking place as well. If you can find something cheap and if you can find a positive change, maybe you should do more homework and find an investment. Brodersen: Could you talk about catalysts? Some people would say value in itself is a driver, but how do you assess catalysts and when do you see that something is about to change so it will realize its intrinsic value? Rogers: That is the important part. I have learned that personally, I am usually too early. I see something happen, and I assume everybody else sees it too. Now I know that they do not, so I have learned to wait a year or two. The change, or catalyst, could be anything. I want to emphasize that even when you see the catalyst, it is futile if everyone else sees it too and the effects come in quickly. It usually takes a while for the catalyst to work its way through. Pysh: In your book Street Smarts, you talk a lot about the idea that the capital flows are drastically changing from what the U.S. has experienced over the last 75 years. You feel that a lot of big opportunities have moved away from the U.S., Europe, and Japan now to China, Singapore, and most of Asia. Do you perhaps see this trend in a similar light as Ray Dalio with long-term credit cycles? Pysh: Do you think the central banks are the root cause of this trend? Rogers: We have not had central banks for the most of history, but a lot of what is happening right now is because of central banks. The United States has had three central banks; the first two disappeared, and in my view, this one is going to disappear too because they are making so many mistakes. Regardless, central banks are a powerful influence in the world right now. They have a lot of money, and therefore a lot of influence, so a lot of what is happening in the world is because of central banks for better or for worse. Pysh: Considering the U.S. Federal Reserve’s policies, how is the dollar getting stronger against other currencies? Are other central banks just doing worse than the U.S. central bank? Rogers: You are right, part of the reason why the U.S. dollar is so strong is that the other countries’ central banks are so bad. The head of the Japanese central bank said they will print unlimited amounts of money if they have to. Anybody thinking about the Japanese yen has to think about unlimited amounts of money along with staggering internal debt. The Euro is a wonderful concept but its execution has been hopeless. Although the U.S. dollar is a terribly flawed currency, many people consider it a safe haven for historic reasons. You look around the world, and there are not many better alternatives. People put money in the U.S. dollar, and the dollar is going to get overpriced as the turmoil worsens. Pysh: The central bank of Japan owns a large portion of the world’s stock market. When Japan runs out of assets like bonds and stocks to exchange into currency, are we going to see the currency in hyperinflation? Rogers: Japan is unique because they have somewhat of a closed society and economy. They can continue to trick each other for a long time that everything is great. The media and the emperor will tell the people that everything is fine, and the people will believe that. I do not know when it is going to happen, but we have had economic problems every 5 to 10 years since the beginning of time. We are going to have problems again no matter what the press says. The media and the emperor can keep telling the Japanese people that everything is fine, but it will end badly whether we like it or not. Brodersen: It appears that most Northeast Asian economies that have done well follow the steps of cultivating land, manufacturing the resources, and making policies that support agriculture and manufacture. India, however, skips the steps and goes straight into IT and more advanced services. How do you view the sustainability of the Indian economy? Rogers: There are one billion Indians. You and I know about the IT in India, but that is such a small part of the Indian population. The Indian government loves to say things are great, but when you actually visit the country, you will see that things in India are not that great. I have occasionally invested in India, sometimes get it right, and usually have gotten it wrong because of the timing. India has a lot of debt that the government does not like to talk about. The debt to GDP ratio is very high in India, which means that they cannot grow at a rapid rate. Brodersen: What is the driver for sustainable growth for a country like India with low employment rate in manufacturing? Rogers: Unfortunately, I do not see a lot of sustainable growth in India. We never see Indian products in the U.S. market. I doubt you could name more than one or two Indian-brand products in your home. This is because they have not had great manufacturing success. India used to be one of the great agriculture countries in the world because of its soil and weather, but the government restricts the Indian farmers to owning only 12 acres. They cannot compete with other farmers who own a lot more land. The Indian government protects many parts of the economy. This is one of the reasons that India has not done as well as others. Pysh: In the time that you were working with George Soros, what would you say was his greatest strength? What would you say your contribution was in the relationship? Rogers: I left 37 years ago and have not had contact since. We were both dedicated and passionate about our work. He was a great market timer. I do not think you go to school to learn to become a great trader; I think you either have it or you do not. I have no idea what he has been doing these days, but back when we worked together, I did a lot of the research and reasoning for a position. In the first 10 years of our work, our return was 4200%. Brodersen: You are a very modest person, but could you tell us what you think your competitive advantage is as an investor? Rogers: I had success whenever I found things that were very cheap where there was positive change taking place. I usually invested too early, but I held them for years. If I have any competitive advantage, it would be that I can see things changing. I make a little bit of money when I get the timing right. Should people be fleeing to the dollar for protection? Will it be the safe haven that everyone thinks it will be in the next crash, or, as many prominent analyst are now prediction, will it be a death trap? Jim Rogers goes into depth in this interview and explains this, plus much more. The price of gold has been rising for 11 years in a row and the precious metal is due for a correction, investor Jim Rogers, chairman of Rogers Holdings, told CNBC. Legendary investor Jim Rogers sat down with Business Insider CEO Henry Blodget on this week's episode of "The Bottom Line." Rogers is based in Singapore and talks about what the outlook is in Asia. Legendary investor Jim Rogers discusses his entry point that would begin buying precious metals again. Are they overpriced? No. But he believes a better deal may lay in the future. Legendary investor Jim Rogers sat down with Business Insider CEO Henry Blodget on this week's episode of "The Bottom Line." Rogers predicts a market crash in the next few years, one that he says will rival anything he has seen in his lifetime. Following is a transcript of the video. Blodget: One of the things I’ve always admired about you as an investor is that you don’t talk about what should be. You figure out what is going to be and then you do that. So what is going to be with respect to the stock market? What’s going to happen? Rogers: I learned very early in my investing careers: I better not invest in what I want. I better invest in what’s happening in the world. Otherwise I’ll be broke — dead broke. Well, what’s going to happen is it’s going to continue. Some stocks in America are turning into a bubble. The bubble’s gonna come. Then it’s going to collapse, and you should be very worried. But, Henry, this is good for you. Because someone has to report it. So you have job security. You’re a lucky soul. Blodget: Well, yeah, TV ratings do seem to go up during crashes, but then they completely disappear when everyone is obliterated, so no one is hoping for that. So when is this going to happen? Rogers: Later this year or next. Blodget: Later this year or next? Rogers: Yeah, yeah, yeah. Write it down. Blodget: And what will trigger it? Rogers: Well, it’s interesting because these things always start where we’re not looking. In 2007, Iceland went broke. People said, ‘Iceland? Is that a country? They have a market?’ And then Ireland went broke. And then Bear Stearns went broke. And Lehman Brothers went broke. They spiral like that. Always happens where we’re not looking. I don’t know. It could be an American pension plan that goes broke, and many of them are broke, as you know. It could be some country we’re not watching. It could be all sorts of things. It could be war — unlikely to be war, but it’s going to be something. When you’re watching Business Insider and you see, "That’s so interesting. I didn’t know that company could go broke." It goes broke. Send me an email, and then I’ll start watching. Blodget: And how big a crash could we be looking at? Rogers: It’s going to be the worst in your lifetime. Blodget: I’ve had some pretty big ones in my lifetime. Rogers: It’s going to be the biggest in my lifetime, and I’m older than you. No, it’s going to be serious stuff. We’ve had financial problems in America — let’s use America — every four to seven years, since the beginning of the republic. Well, it’s been over eight since the last one. This is the longest or second-longest in recorded history, so it’s coming. And the next time it comes — you know, in 2008, we had a problem because of debt. Henry, the debt now, that debt is nothing compared to what’s happening now. In 2008, the Chinese had a lot of money saved for a rainy day. It started raining. They started spending the money. Now even the Chinese have debt, and the debt is much higher. The federal reserves, the central bank in America, the balance sheet is up over five times since 2008. It’s going to be the worst in your lifetime — my lifetime too. Be worried. Blodget: Can anybody rescue us? Rogers: They will try. What’s going to happen is, they’re going to raise interest rates some more. Then when things start going really bad, people are going to call and say, "You must save me. It’s Western civilization. It’s going to collapse." And the Fed, who is made up of bureaucrats and politicians, will say, "Well, we better do something." And they’ll try, but it won’t work. It’ll cause some rallies, but it won’t work this time. Blodget: And we are in a situation where Western civilization already seems to be possibly collapsing, even with the market going up all the time. Often when you do have a financial calamity, you get huge turmoil in the political system. What happens politically if that happens? Rogers: Well, that’s why I moved to Asia. My children speak Mandarin because of what’s coming. You’re going to see governments fail. You’re going to see countries fail, this time around. Iceland failed last time. Other countries fail. You’re going to see more of that. You’re going to see parties disappear. You’re going to see institutions that have been around for a long time — Lehman Brothers had been around over 150 years — gone. Not even a memory for most people. You’re going to see a lot more of that next around, whether it’s museums or hospitals or universities or financial firms.